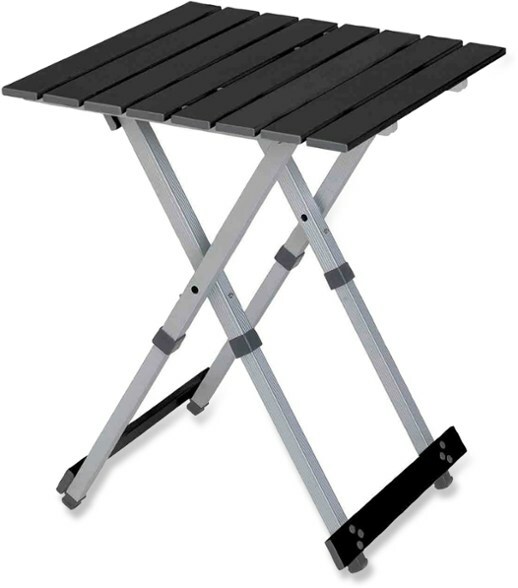 A small picnic table to enlarge your kitchen or to sit around when the weather’s nice. Unfolded Dimensions: (H x W x D) 27.5 x 25 x 25 inches. Folded: (L x W x D) 25 x 24 x 2 inches.